How To Pay For Estate and Inheritance Taxes Part 2 of 2 | David M. Frees III ) we reviewed the ability to use liquid assets - often not sufficient to pay such a large tax laibility as well as the purchase of life insurance that when structured properly in an ILIT will be untaxed and will provide liquidity. But what about estates where there a re many illiquid assets such as real estate and insufficient cash to pay? Executors can sell assets quickly to raise the funds. However, selling into a down market can be devastating and assets sold at a discount can never be recovered. Also, the need to sell assets quickly canput you at a negotiating disadvantage even in a greta real estate or stock market. For those reasons, assets can be used as collateral for loans to borrow the tax laibility so that assets can be methodically liquidated at more reasonable prices. However, this involves tying up collateral and often a significan interest expense. Finally, there are a number of sections of the IRC (internal revenue code) that allow for discounts of for the ability to pay taxes on closely held assets over extended terms. However, these restrictions often mean that the particular assets in your estate may not qualify. Advanced planning and the use of ILIts, GRATs, and irrevocable trusts and gifting can significantly reduce the overall tax liability. Furthermore, moving to more liquid investments through time and/or purchasing non-taxable assets such as life insurance can be combined to creat a plan that allows the executor to pay the taxes timely and to avoid fire sales, interest and penalties. 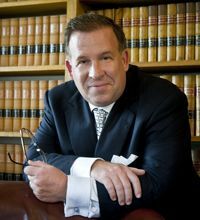 preserving family wealth, closely held businesses, and the officers and directors of corporations in a full range of estate planning strategies.